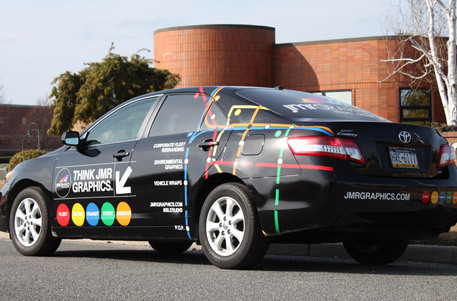 FIND OUT MORE ABOUT WHAT GIVES JMR GRAPHICS THE EDGE ON COMPETITION. Almost thirty years ago a family of creative individuals set out to change the way brands market and advertise themselves through vinyl graphics. Starting their own printing company with cut lettering for vehicles and store front window stickers they quickly began to make a name for themselves in the vinyl graphics printing industry. As technology changed and quickly evolved, so did we. Four color process and digital printing of high resolution images became the industry standard. We take pride in the work we do and strive to provide the best service and quality possible. All of our graphics are printed at the highest of industry standards and are installed by the best installers you can find. We have built our reputation on meeting tight deadlines and our exceptional customer service. Call us today to get your next project started. AT JMR WE HAVE THE EXPERIENCE & TRAINING NECESSARY TO GET YOUR PROJECT WHERE IT NEEDS TO BE. We're 1 of 39 Certified 3M Printers and Manufacturers of Vinyl graphics in the united states. Which means that we have the proper vinyls, inks, and printers specified by 3M in order to print your graphics to the highest of industry standards. Having the right components are important. It's a shame to see graphics fail six to seven months after they're applied. We like our graphics to look just like the day they were installed for years after they've been applied. Your image is important and graphics aren't cheap. So our advice to you, protect your investment. It'll be worth a little research in the beginning to ensure that your getting what your told. Our graphics are backed with the 3M MCS Warranty. Which means that we have the right components needed to protect your graphics against any cracking, fading, or peeling. If anything were to go wrong we would remove, remake, and reinstall your graphics free of charge. Make the right choice and use JMR Graphics for all your graphics needs. Central Islip, NY is our home and we wouldn't have it any other way. Located in the heart of creativity we are able to stay atop all trends in various industries. New York City is the hub of all of the hottest trends in fashion, retail, and advertising. All of the major and up and coming brands advertise here, whether its branding their fleet, covering the walls and windows of their retail stores or buying media space in times square. Click to view our 3M Digital Printing & Screen Printing Certificates. Feel free to contact us today for a free quote and project evaluation! DON'T TAKE OUR WORD FOR IT; HEAR WHAT THEY HAVE TO SAY! "I cannot express enough our satisfaction in working with Joe and his team at JMR Graphics! Admittedly, we are not the easiest client to work with - constant change requests, impossible timelines, you name it - but Joe's team has always come through to ensure we meet our goals on time and the outcome is above and beyond our expectations. JMR graphics has been an absolute pleasure as our partner, always easy to work with, flexible to our needs and always with outstanding customer service. I recommend JMR to our customers and will continue to do so for a very long time." "JMR graphics produced and installed high-quality wraps for Boston University's entire shuttle bus fleet. More specifically, JMR was required to design our wraps using art provided by the University and then install them in the precise manner specified by our contracted bus provider. JMR did so in a prompt and professional manner. Not only did JMR meet these requirements, but they also graciously accommodated changes during the process. The installations were completed here in Boston without interruption to our ongoing shuttle services. The appearance of our shuttles is closely linked to apparent quality of our institution. JMR's wraps still look fabulous after months of daily urban use. We would definitely work with JMR again and highly recommend their services to others." "Their work is outstanding. They're fast and efficient and a pleasure to work with. I receive calls all the time asking who we use for wraps. I will continue to use & refer JMR Graphics! I hope that sounds good. It's true. Your team is so nice and helpful and they do a great job!" "We've been working with JMR for years and it's always an amazing experience. They always go the extra mile to help their customers out. We've used JMR for wrapping field marketing vehicles in markets around the country as well as supporting our distributors with wrapped trucks. Everyone we've worked with at JMR has always been extremely knowledgeable and willing to do what it takes to get the job done right." "Joe and his team at JMR are probably the most responsive group I have ever worked with. No job is too small and attention to detail is excellent. We use JMR for all our truck and POS advertising." "A Triple Crown prospect in the Belmont Stakes brings with it top national brands seeking on-track activation on extremely short deadlines. JMR Graphics has demonstrated to New York Racing Association their professionalism in responding on estimates, design and installation. We have been very pleased with the quality of their work." "I have worked with JMR Graphics for over ten years and purchase not only stock decals for our fleet of tractors and trailer, but large custom decals as well. Their personal service, product accuracy and on-time delivery of time sensitive materials are what keeps us coming back. They are a great company to work with." 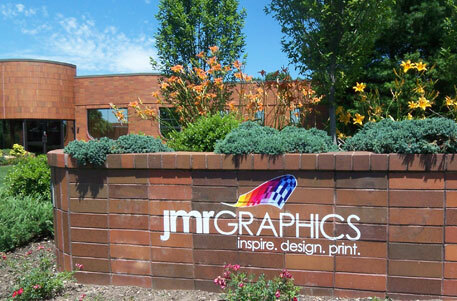 "JMR Graphics have taken care of all of our needs when, where and however we have needed them. You can't get any more professional than JMR. They Truly know how to do business and take care of their customers!" "We've been working with JMR Graphics for our New York distributor's beverage trucks since we launched with them in 2005. We now have a full fleet of ZICO Coconut Water branded vehicles that turn heads all over town and bring attention to our brand. The customer service with JMR has been top-notch and the quality of work has held up beautifully with over the years."